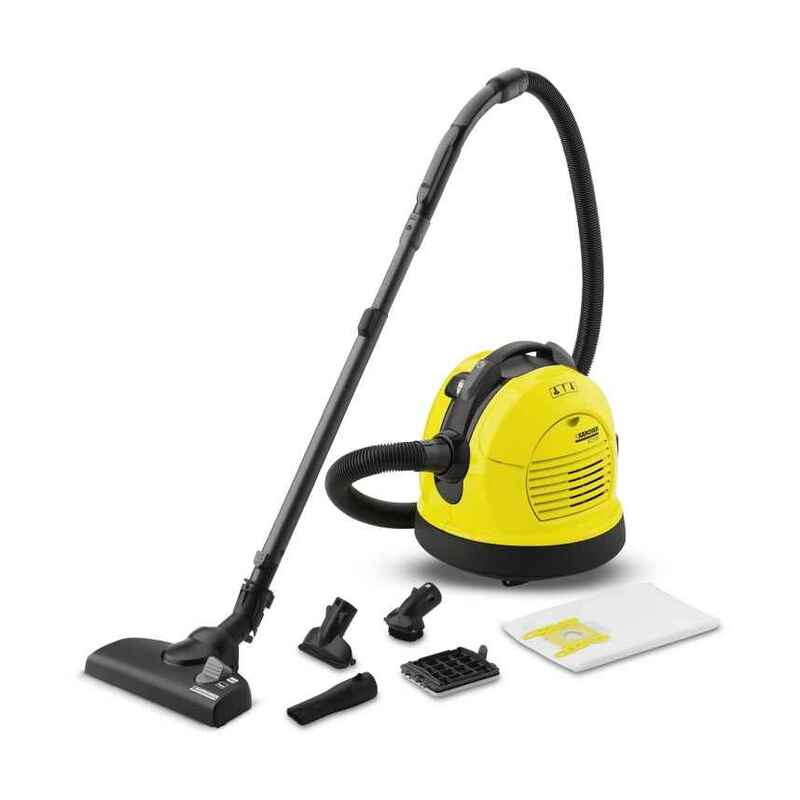 The VC 6100 vacuum cleaner combines extravagant design and innovative technology. The ComfoGlide floor nozzle reduces effort by up to 30% even at maximum suction. QuickClick system allows easy changing of accessories in seconds. Use with handle and telescopic tube. EasySlider – a further innovation: A non-marking 360° rotating ring gently deflects the vacuum around obstacles. This protects your furniture and the vacuum. For powerful and hygienic cleaning: the EPA 12 filter has a high-efficiency seal for better dust retention. Even the smallest allergenic particles are reliably retained. The exhaust air of the vacuum is cleaner than the ambient air. EasySlider rotating ring. Comfortable vacuuming without obstacles or interruptions, no scratches on or damage to furniture.